The news spread fast last night (on Twitter of course) that Leslie Nielsen had died yesterday, from complications from pneumonia, at the age of 84. I, like most people of my generation, am most familiar with Nielsen for his comedy work during the last 30 years. 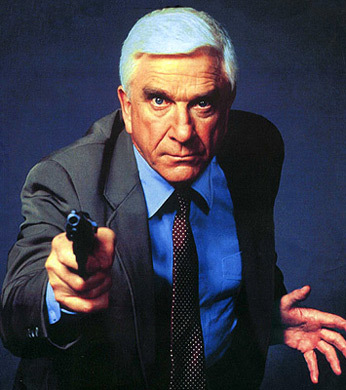 I was particularly a fan of the Naked Gun film series and I still crack up whenever I rewatch them. However, his film career dated back to the 1950s, with more serious film roles in films such as the sci-fi film Forbidden Planet and the disaster film The Poseidon Adventure. Nielsen layed low for his final years, having last appeared on screen in the David Zucker-produced Superhero Movie in 2008, before appearing in a series of direct-to-video features.